Hey girl, great to meet you! There is a beautiful tradition in Germany, where a bride and groom are given 12 Christmas tree ornaments when they start their lives together as a married couple. Each of the 12 ornaments represents a certain area of life, which together make for a happy and successful marriage. This tradition is known as The Bride’s Tree. This idea of requiring many different elements to come together to create something wonderful, loving and everlasting was absolutely beautiful to us. And not unlike planning an amazing wedding you will remember forever more! Our website was named The Bride’s Tree as a nod to this tradition and what it represents. It gives you a place to come for inspiration, and to indulge in this time in your life that only lasts so long before you embark on the real journey – your married life. The Bride’s Tree website is also like a tree in the sense that it branches out to real life brides, suppliers and provides a network to connect you to all of the businesses and people who will make your wedding day everything you ever dreamt of. Sally is primarily the words putter-togetherer. Not a surprise she chose this career path considering her childhood was spent between books and ballet. The idea for The Bride’s Tree came to Sally when she was working in the bridal industry amongst brides, who loved reading the national and international blogs, but didn’t know where or how to achieve the style of weddings they were coveting here on the Sunshine Coast. It was clear to Sally, they simply weren’t making the connection with the vendors who could make their wedding day dreams come true! 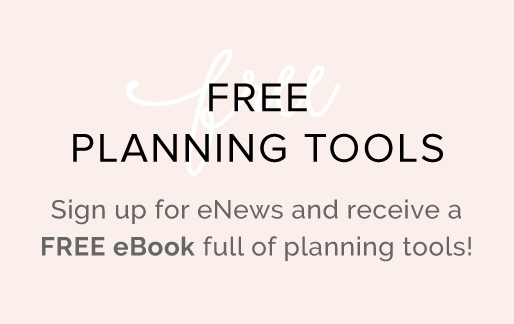 Furthermore, their favourite magazines only released once a year, and as any bride will tell you – more is more when it comes to wedding inspiration! The idea for a comprehensive, locally focused website with a directory, blog, and quarterly online magazine percolated with Sally… notebooks were filled with notes and sketches, and she spoke with many brides conducting sneaky research, before approaching her now business partner, Jenny, to come on board to assist with Advertising Sales. Coincidentally, Jenny admitted a site like this was exactly what she had wanted when planning her own wedding while living in Scotland and couldn’t wait to join the team, and in fact offered to do Sally one better and partner up as co-founder. And so The Bride’s Tree dream team was born! Sally’s career has lead her in some very interesting directions. Working in public relations gave her the opportunity to film with The Great Outdoors, Totally Wild, and Getaway, to name a few, and become a columnist for K-Zone Magazine, Total Girl Magazine, Fernwood Fitness‘ Magazine, and for several newspapers. Sally has guest co-hosted breakfast radio broadcasting internationally, and been a regular guest on many Australian radio programs. She also has extensive experience in marketing and event planning. Immediately prior to founding The Bride’s Tree, Sally spent three years working as Editor of the quarterly-released Australia Zoo CRIKEY! Magazine. During her time at the helm, the magazine was put into distribution in thousands of Australian newsagents, as well as Barnes & Noble stores in the United States. Sally is mother and best pal to an 12-year-old soccer-mad Man Cub, which meant that in her adult life, she finally had to learn to kick a ball. She loves a good old belly laugh and genuine, interesting people with whom to engage in fascinating conversation. When she’s on a roll, concentrating on the task at hand, make sure you bring your stash of fireworks to get her attention. Sally’s most favourite claim to fame is she was the world’s first reader of Nevermoor: The Trials of Morrigan Crow by Jessica Townsend (her sister), who dedicated her first novel to Sally. Sunshine Coast-home based, internationally operating Destiny Rescue is Sally’s charity of choice, because the basic human right of freedom and control over one’s own life resonates in her soul. Want to collaborate with Sally? Jenny has always been an entrepreneur at heart. She realized her love for business as a teenager where she would often be found dreaming up new ideas or building some grand plan for her next business idea so she could save up enough money for an upcoming adventure holiday. It was no surprise then that as an adult Jenny worked in business as a marketing executive, both on the Sunshine Coast and internationally. Finding and developing better, more productive ways of marketing a business for sustainable growth is what excites Jenny. It’s likely that you won’t have a conversation with her without discussing solutions to help grow a business to their full potential. Every business starts with a problem. Jenny’s was when she was living in Scotland and became engaged. She found it impossible to plan her Sunshine Coast wedding from the other side of the world. Sure there were bucket loads of national and international wedding blogs and websites, but Jenny didn’t want to know about Sydney wedding venues or Melbourne wedding florists, she only wanted to know about everything available for Sunshine Coast weddings. Many of her friends were also living out of state or abroad and planning a Sunshine Coast wedding, so it was pretty clear there was a gap in the wedding industry that needed to be filled. After having her first child, Jenny then discovered her passion for technology and the digital industry and quickly realized this was the perfect direction for her as she strived for a better work/life balance. Coincidently, Sally then came to Jenny with a similar idea. Sally was surprised to learn that Jenny had already completed business and marketing plans, so the two joined forces with their unique skill set and co-created The Bride’s Tree into the thriving platform and community it is today! Jenny’s passion for business and helping other local Sunshine Coast businesses grow means that most weeks she is catching up with passionate local business owners who make up our community at The Bride’s Tree, making sure they are receiving outstanding results for their advertising investment and an unforgettable experience that is worth every dollar. Being part of The Bride’s Tree is about being part of a thriving community and there’s always room on Jenny’s table for a chat over a double shot coffee about business strategies for success. Having founded The Bride’s Tree, she understands all the challenges that come with running a business, but she also knows the excitement and life-changing fulfilment that comes from being an unshakable optimist, determined and unstoppable. Jenny can also be found building meaningful relationships with engaged couples planning a Sunshine Coast wedding. There’s not a day that goes by where she isn’t active in our popular private Facebook community – Sunshine Coast Brides’ Tribe, growing this community, helping them with all their wedding planning questions and of course connecting them with the perfect vendors for their wedding. Apart from weddings and business, one of the best experiences Jenny has had is travelling around Australia (having an online business is pretty great, right!) and the world. Now with two kids in tow, her and her husband love to show their two children the world, instilling in them the same conviction they have that anything in this world is possible and that no one is given a dream without being given the power to achieve it. Sally Townsend and Jenny Cooper created The Bride’s Tree from a passion for weddings and Sunshine Coast business. 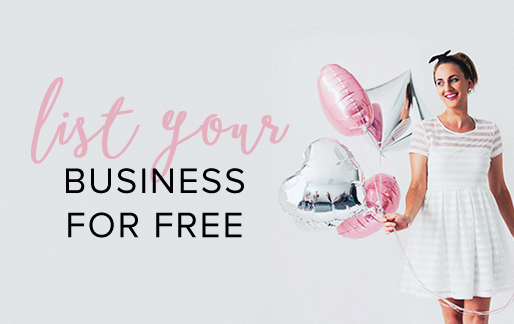 Keeping it local and giving both brides and the wedding industry of the Sunshine Coast a place to inspire and be inspired, and connect with like-minded people to create the most special of special days. Sally and Jenny both have a background in marketing locally, nationally and internationally and major event planning in the tourism industry. This dynamic duo (for want of a less naff term) feel they have walked their previous professtional journeys, simply to lead them to this point. Jenny’s honed skills in business and wedding planning are essential to the successful workings of The Bride’s Tree. Sally’s expertise lies in publishing, having previously been founding Editor of internationally distributed print magazine, Australia Zoo CRIKEY! Magazine, and prior to that, Public Relations manager for Australia Zoo and Wildlife Warriors Worldwide. 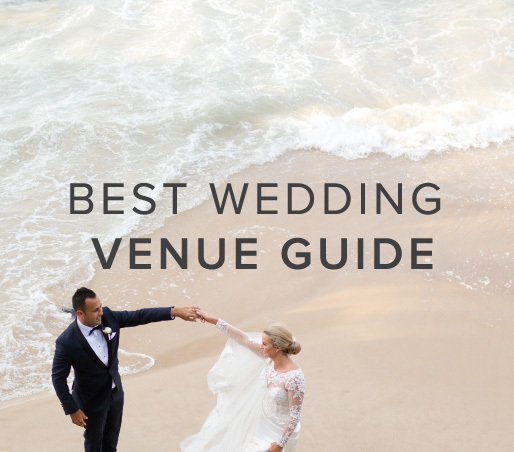 The pair worked tirelessly to produce what you see today – the most comprehensive, pretty and inspiring resource for planning your wedding on the Sunshine Coast, Queensland, Australia. Free online and released quarterly, The Bride’s Tree Magazine was launched in April 2012. So far 11 editions have been released, with the Summer edition on it’s way in January 2015. Please note: Sally was misquoted. She in fact was not editor of crikey.com, but rather Crikey! Magazine for Australia Zoo.